Snip, snip. What's that sound? Oh, don't worry, it's just the high street taking their scissors to your spring wardrobe. Cut-outs, cut-aways: it seems that no garment is complete at the moment without having something missing. This trend is more flattering than it might appear at first sight - there are so many different options, you get to flash whichever four inches of flesh are your favourite. And you do, for this purpose, have to pick just one area. Otherwise you'll end up with a horror like this. Let's stay classy ladies. I'll start at the top of the body, and work down. 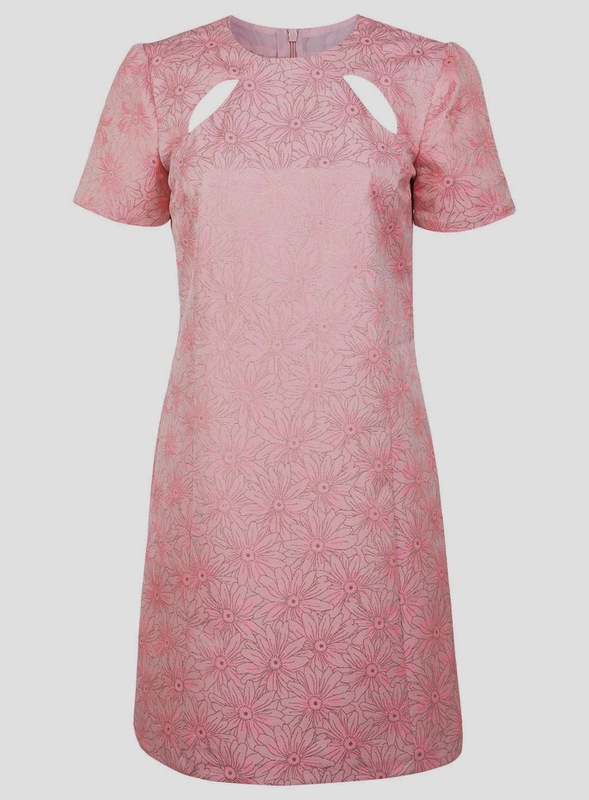 Cute cute-outs have been used to add a contemporary touch to the otherwise oh-so-sixties shape of this pink jacquard dress from Miss Selfridge. The perfect way to flaunt your clavicles, it's £49. For a different look, this strap tank top from &Other Stories uses a few snips here and there to create a striking sporty look. It's only £29 too (probably cheaper than doing actual sport). There are more interesting necklines to ponder on this Viva Vena dress or this River Island playsuit. River Island also get an honourable mention for their cold shoulder jumper: sadly the name is much more amusing than the top itself. Sister Jane, who I wrote about last week, love a good cut-out. I showed you the skirts then, so let's look at the arms this time instead. The upper arm can just be spied through their geo net blouse, perfect if you're a bit phobic of going sleeveless. This is £45. 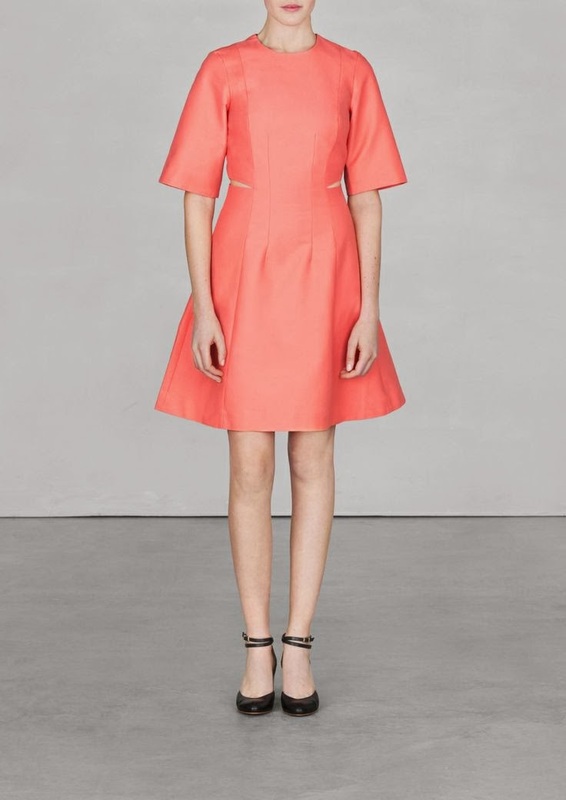 Blink and you'll miss the cut-outs on this cotton dress from &Other Stories. Situated above the stomach, it's a sneaky way to try out the trend without too much angst. Topshop are doing this style a lot at the moment too - I've tried on their palm tree dress and am pleased to report it's really flattering on an hourglass-who-likes-chips-a-lot kind of figure. Huzzah! And pass the vinegar. Which leads us to the midriff - frankly terrifying when you start thinking about crop tops and the like. Much, much kinder is something like the ASOS 50s midi dress shown at the very top of this post (looking at the cut, holding in your breasts are likely to be more of an issue than your stomach). 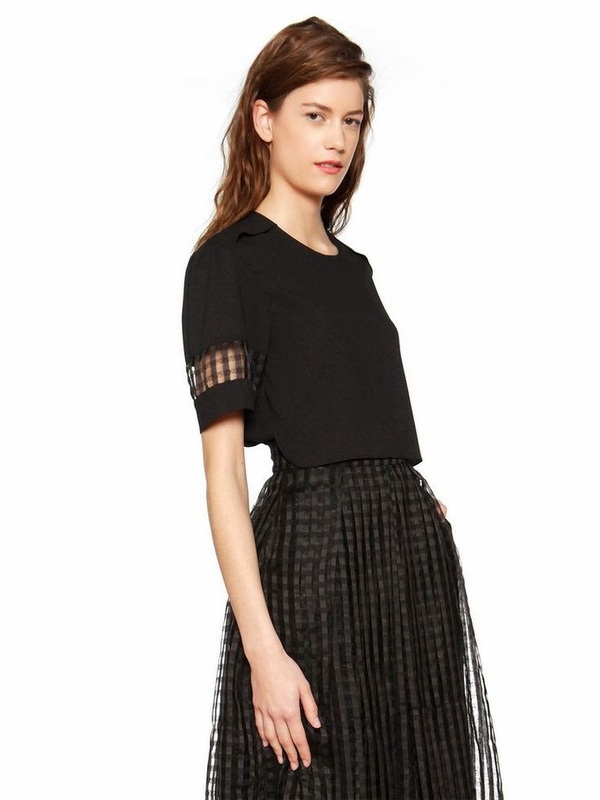 Or there's Zara's sweater with sheer stripes for £45.99. You can add layers below as much or little as you want. 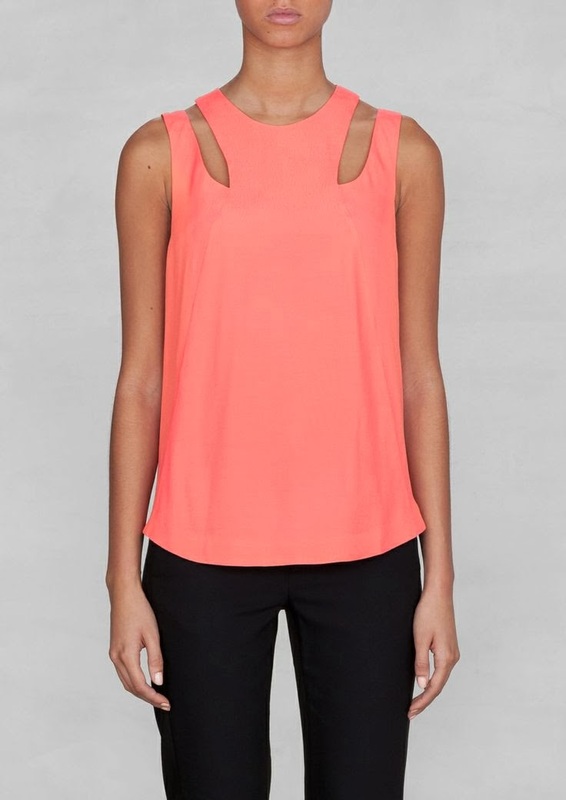 Also from Zara is this stunning sleeveless top with cut-out back, another candidate for layering unless you can get away with going without a bra. It's £35.99. I love these double layered skirts: an easy but less obvious way to get your legs out. Warehouse lace stripe skirt, £50, is so very pretty (matching crop top entirely optional), and would be great for dressing-up or down according to your whim. French Connection pencil skirt number is also worth a look if you fancy trying the look on a different skirt shape. And finally, to the feet. 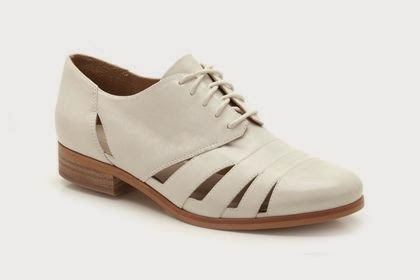 These Miss Selfridge brogues are pretty jazzy, and only £17 in the sale. However, my feet will be getting an airing in the above Hotel Image shoes this spring. A Clarks special, at £64.99 they definitely make the cut.